A point I’ve made previously is that promoting attributes for DAM systems like ‘fast and reliable search’ isn’t necessarily something that is going to generate a lot of interest from end-users, it’s a maintenance feature that you only notice when searching becomes slower or less reliable. When DAM search engines yield bizarre results, people either wonder if they entered an invalid query or they blame the software. The third possibility (which tends to be the most common reason for issues with search in DAM) is poor quality cataloguing where someone has assigned faulty metadata either by accident or through laziness. This is a point vendors might need to increasingly think about. I do acknowledge that explaining to end users that the reason their search engine is returning nonsense is because they typed it in to start with isn’t the easiest client meeting to be involved in (having fielded one or two of these myself in the past). I also appreciate that there are still a number of older products still in circulation which have search engines that are neither fast nor reliable. 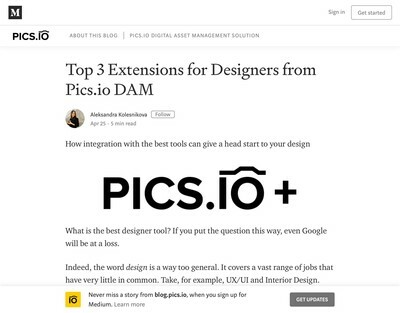 The days of this being a noteworthy attribute of one DAM system over and above another, however, are now coming to an end – especially as nearly everyone uses a small selection of underlying third party text search components, REST APIs and jQuery interface controls etc. Some of the interface aspects of the search are similar to other features I’ve seen in other products, in particular the highlighting, although the automated facets and updating of result counts seems like it could be quite useful. My guess is that Brandworkz would want to point out that this is only possible because they upgraded the underlying search architecture so it was fast enough to support this kind of dynamic capability, therefore, a counter-argument to my earlier maintenance point would be that you have create the environment to enable these features first. Whether that always happens in reality, is harder to assess, but these sort of themes appear to be prevalent in this vendor’s latest release and they appear to be illustrative of wider trends across the rest of the market too. Looking at the other items, the move to the Amazon AWS cloud was probably a big deal for Brandworkz themselves to organise in terms of legacy migrations from private data centres etc (and I am aware they’ve been in this business for something like 17 years – which is longer than most) but some of the more recent competition (plus a few others who are of a similar vintage) have already done this, so it’s more catching up and keeping pace than anything new. The upload/download features and zip handling are more scalability enhancements which is good to know they’ve got, but not something I might care about as an end-user. I don’t know how this was done by their app in the past, but the way a lot of web-based DAM systems handle these tasks is within the same process as the web server itself. For non-technical readers this means you sit at the screen waiting for the DAM to process large zip or download requests and can’t do a lot else while it figures all that out for you – which can be a lengthy period of time, depending on the size/complexity of the request. From what I have read of the feature, I would imagine they are using some kind of services architecture to realise it. That isn’t exactly new (there are DAM systems which have done it this way for a decade or more) but it does suggest more emphasis on scalability which is likely to be because they have clients who have uploaded many more assets now. These will be common themes in DAM software over the next few years. 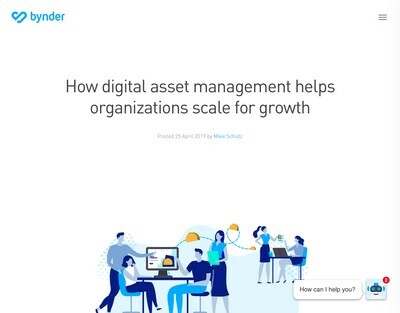 Those who have not atoned for their previous scalability sins can expect to increasingly get called account over them as the volumes of assets and users start to stack up. Many of the aspects of this release do seem to be scalability-related. One possible theory as to why there hasn’t been a huge amount of visible innovation in DAM software recently is because many vendors have spent the last three years or so essentially tidying up functionality which was hastily assembled in order to meet some requirement or other during the features ‘arms-race’ of a few years ago (which vendors seem to have collectively agreed to impose an unofficial moratorium on currently). At some point, a critical applications architecture review process has to occur and that is usually the point most software development teams realise they could have perhaps designed it better given a subsequent opportunity – which usually necessitates re-building major sections of the application. Some more interesting aspects of this update are towards the end of the press release and they relate to bulk editing and automated population of metadata entries using placeholder fields (which they use the mail merge analogy to describe). I note that Brandworkz target more marketing-oriented clients than some of their peers (although nearly all DAM vendors claim this segment as a key one for them now). 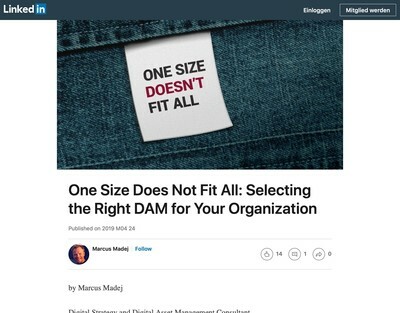 A trend I have witnessed in the last year is more marketing people beginning to understand the significance of metadata and also that DAM is an operations management discipline. 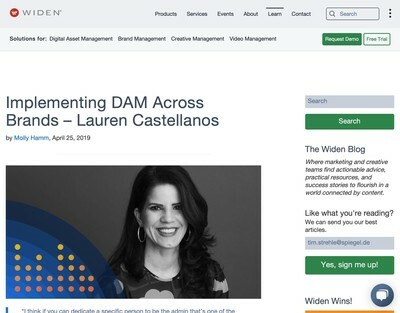 In the first wave of marketing interest in DAM, a lot of marketing managers seemed to regard it as being another marcomms exercise and there was more focus on the visual delivery and making the DAM more closely resemble websites, intranets etc. I suspect many of them took the view that they were building some kind of on-line corporate style guidelines or brand book with an attached catalogue (which someone else would use, but probably not them). Now that visual assets are starting to need to get deployed in numerous other contexts, both digital and elsewhere, there is a realisation that the plumbing is at least as important as the paintwork. This group are beginning to appreciate the process element of the exercise and understand that you need to optimise it – which you can’t do without appropriate metadata. In addition, I would imagine more cataloguing is getting done in-house and there are demands for tools to make the process faster and more accurate, so I can see the motivation behind these sort of features. The press release itself is well put together and contains some useful detail on what you will get as an end-user. They have kept the marketing hyperbole to a minimum and that material is mainly contained within a single section at the end. Other vendors take note: if you haven’t made over-blown claims for how revolutionary your latest point release is then you don’t create a negative story in the form of inflated expectations which don’t align with the reality of what you have actually delivered. As such, in general, it’s nothing to get over-excited about but it does move their platform further forward and provide a benchmark to assess the direction of travel for the wider DAM software market. Next post: Does Your DAM Leak Data?